Do you fancy a day shooting in France? 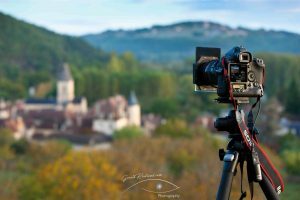 Then come and join me Gareth Kirkland, professional landscape photographer, on a photography workshop in the South of France. This year, and for 2019, I’m not doing any scheduled workshops. I will however be holding impromptu one day workshops for people who wish to move their photography to a new level, or simply be taken to some stunning locations. For those less experienced photographers, a format that works well, is to meet at my gallery in the evening and go through the basics. (see topics covered in sub menu). From there we plan the next mornings dawn shoot and work up until lunchtime. For those who would feel comfortable being thrown right in at the deep end, with a dawn shoot, we can forgo the evening meet and work later in the day. In any case, because these workshops are generally one or two people, we can be very flexible. For how to pay, go to ‘Booking & Payment’ in the sub menu on the right. Please note, you are responsible for all your travel arrangements & food costs. If you are staying in Sarlat I might be able to pick you up from your accommodation before the dawn shoot. If you would like to spend longer with Gareth, or make a group booking, that’s possible, but would need to be booked some time in advance due to his work commitments.